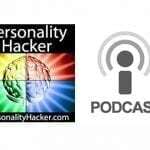 In this episode Joel and Antonia talk with internationally known artist, author and entrepreneur David B. Goldstein who co-wrote the book “Creative You” with Myers-Briggs expert Otto Kroeger on what it means to express your unique creative personality. Creativity is often discouraged because of an existing social template. 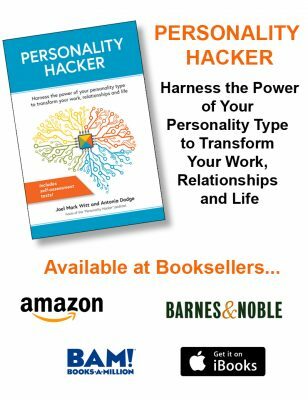 At Personality Hacker, we want to see people grow and do things based on their own uniqueness and not on a template that have been handed down to them. Recognizing Personality types allows us to see people for who they are without malice or bias. Understanding how and why others think and act the way they do makes it easier for us to get along with anyone. Criticism is based on how a person sees the world. People who criticize see a different part of a creation. Never be discouraged when criticized for doing something you are passionate about. At the same time, listen to what others feel or see is important; if a growth opportunity is provided then consider accepting criticism. We are our own gatekeepers of creativity. It is up to us to give ourselves limitation or permission to be creative. Our own unique creative differences are our greatest strengths in achieving creativity. 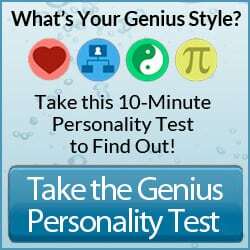 Everyone can be creative in their own way using their own unique Personality type. Antonia recommends the book “The Artist’s Way” by Julia Cameron for growth and development of ENFP and ESFP Personality types. Reclaiming your childhood creativity is getting back to the things you used to love as a child. This is one thing you can do to discover your own unique creativity. It is important to keep children creative as they grow up since it is frequently during the childhood years that creativity first gets discouraged. Reading books written by people similar and/or complimentary to your Personality type is a good exercise to develop your Co-pilot Process. You can’t do everything on your own. 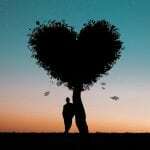 You need someone to make up for whatever you lack. Collaborating with people different from your Personality type also helps in producing creative work. Recognize yourself as a creative individual. Give yourself permission to be creative. Find mentors to share with your creativity and to guide you along the process. Partner or collaborate with someone who makes up for whatever you lack. I would love for you guys to take a podcast where you have both an intuitive and sensor come in and talk about the way they see the world and their interactions with their opposite learning style. I enjoyed the Intuitive Awakening Series (I am intuitive myself) and really would like to better understand how the sensor sees the world. You guys are both intuitive so I would like to see the sensor’s side of the story. Hey, Anna! Thanks for the podcast idea. Part of our mission is to cater primarily to Intuitives and provide tools/resources for them. That said, great communication with Sensors is a part of how Intuitives embrace their own preferences, so that would probably make a pretty interesting podcast. We’ll keep the idea in the hopper. This is a favorite! I am in a master’s program in creativity psychology. I worked on a project in which artists and engineers worked together to make installation artwork. Each discipline had an automatic go-to philosophy of how to approach problems. After some initial contention, they ended up helping each other out so much they were moved by the experience. The artists learned about the engineering approach of “problem formulation”, which is re-framing and returning to the initial problem they are trying to solve. This caused greater creativity, since creativity is as much about the problem itself as the output. One engineer kept insisting he had no creative or artistic abilities, but the artists kept pointing out the creative and artistic breakthroughs he came up with. Interdisciplinary and inter-type relationships leads to self-discovery. The person I researched this project with was an ENFJ in engineering. She felt like interacting with the artists and engineers, even though we were not supposed to do that, since in research there is an extroverted thinking kind of separation between the observer and the observed to keep the research study “pristine.” As an INFP I was actually more comfortable than her with this kind of research status quo. Since we were part of an experimental research group, we were given a “go” to interact with the artists and engineers. What ended up happening was that they warmed up to us and starting sharing more information, which is good for data-collection. The separation between the observer and the observed, though a valid method in its own right, causes the observed to feel like an “other” and they become quiet when researchers approach them with a tape recorder and icy stare. Her extroverted feeling “harmony” method had transformed me, because I ended up enjoying the interactions, even though I still kept a certain “cool” when doing so, while she was emotionally expressive. Thus I was influenced by her way, but kept to my own way. I am writing about my experiences in this research group. I believe that the point of inter-type or inter-disciplinary relationships is not to agree on ideas, but rather allow ourselves be influenced by others’ ideas, yet in the end, end up with our own ideas but with a renewed appreciation for others. We grow together, but we also grow as individuals. This was one of my favorite of all your podcasts to date! It was great to listen to the perspectives on all the topics you covered: taking (or leaving) criticism, team building, creativity differences amongst the types etc. I found the discussion about artists, especially those that were either NT or NF, and how they approached their art, to be very interesting. That part of the discussion is inspiring me to read David’s book just to learn more about that specifically.